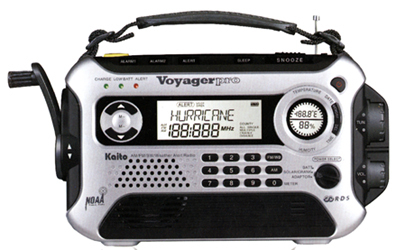 The Kaito KA600 Voyager Pro is a versatile device you may need in an emergency situation. It features a high quality AC type brushless generator. 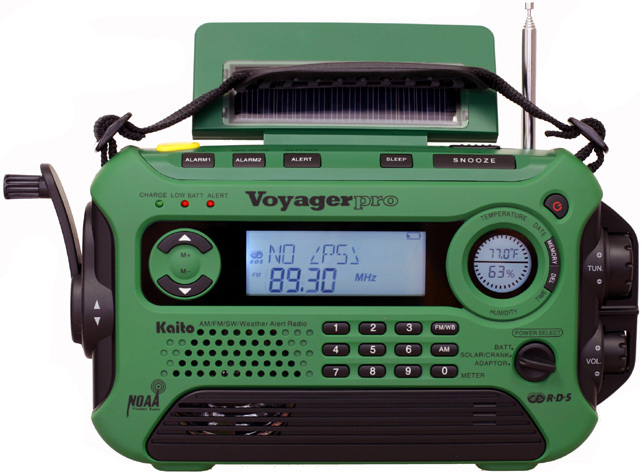 The solar panel powers the radio by itself and charges the built-in batteries as well. To maximize the sunlight’s rays, the solar panel is designed to tilt. On the bottom side of the solar panel is a five LED reading lamp that you can use in poorly lit conditions. The radio is built with a multi-function LED flashlight. The super bright LED on the right side panel can be used as a flashlight. The radio section of the Voyager Pro gives you reception of AM from 520-1710 kHz, FM (with RDS) from 87-108 MHz, shortwave from 2.3-23 MHz and NOAA weather (7 channels). There is a total of 255 memories. The medium wave step may be set for 9 or 10 kHz. Scanning is supported. You can even tune the radio frequency by direct keypad entry! Other unique features include a temperature / moisture display, clock calendar, and sleep timer (0-90 minutes). The built-in USB port lets you charge USB cell phones. 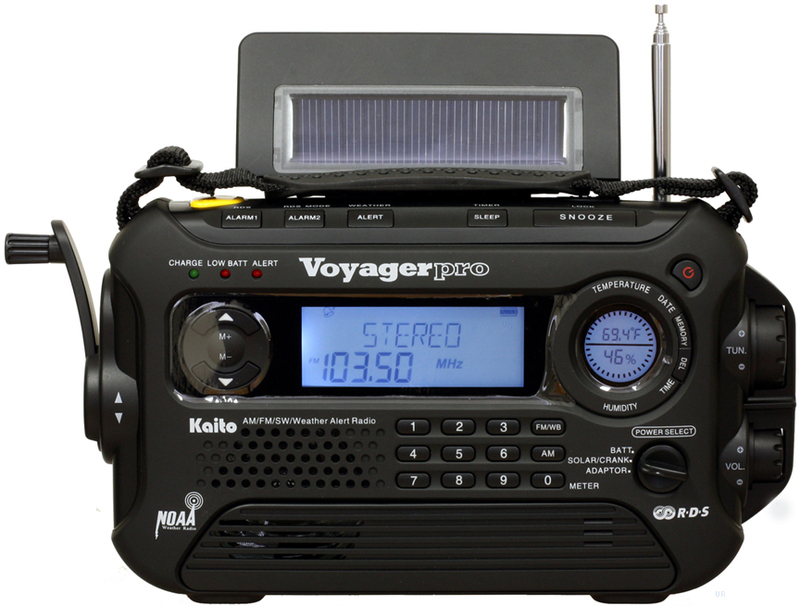 The radio can be powered from the supplied internal BT500 Ni-MH battery, solar power, AC adapter (not supplied) or three AA cells (not supplied). This radio comes with ear buds and Owner's Manual.